In her latest series, Continuity, Shannon contemplates the parallels of an evolving environment with the growth cycles she observes both personally and in nature. Drawing inspiration from these cycles, her work begins to unveil questions of permanence and a relationship with the unknown. 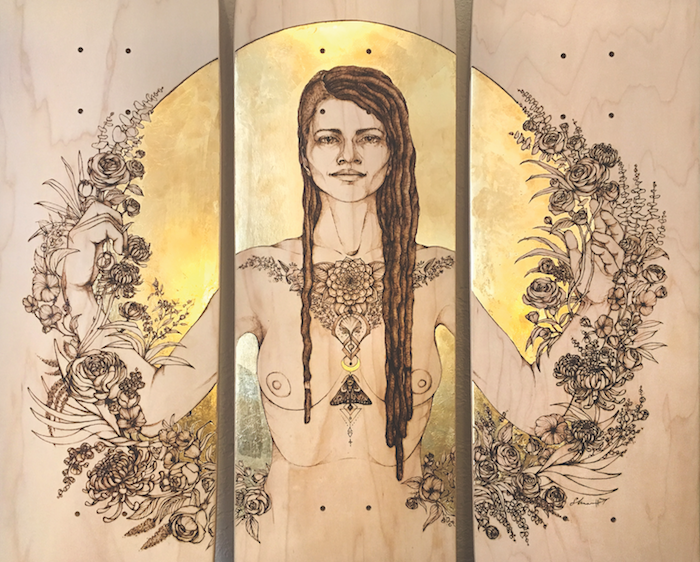 A raw sense of regeneration and harmony can be distilled from her detailed compositions, while feminine figures often take the viewer head on, inviting human connection in a carefully crafted moment of reflection. 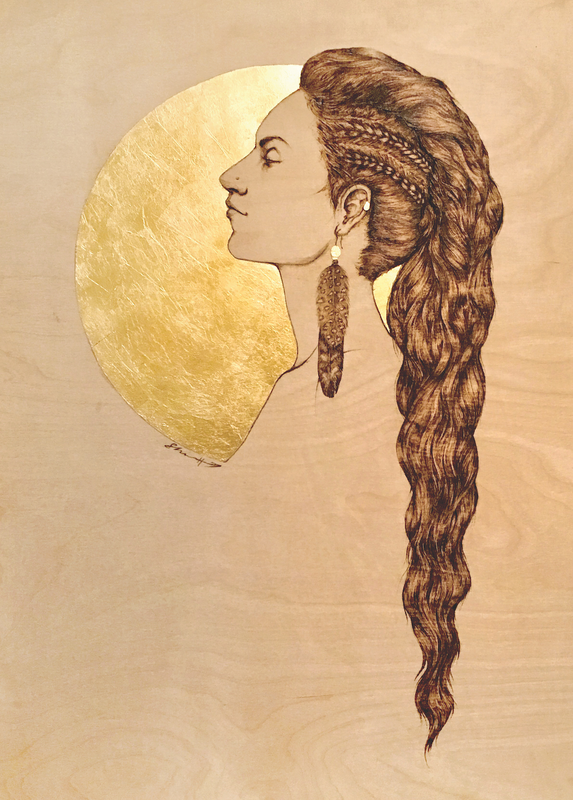 With over 15 years of painting and drawing experience and many hours of experimentation, Shannon finally married her passion for painting with the freeing nature of pyrography. With new materials and methods, she combines an appreciation for detail with a desire to let the material lead. Applying a clear solvent to the wood with a brush, these areas of the wood ignite more quickly when she introduces a torch to permanently burn the imagery into the woods surface. She then uses a smaller tool akin to a soldering pen to burn in finer details. Shannon received her BFA in Communication Arts [Illustration] and a Master in Product Innovation from Virginia Commonwealth University in 2016. Eager to begin the next chapter, Shannon made the move west, finding home in Oakland, which she claims has had a profound effect on her inspiration and growth as an artist. 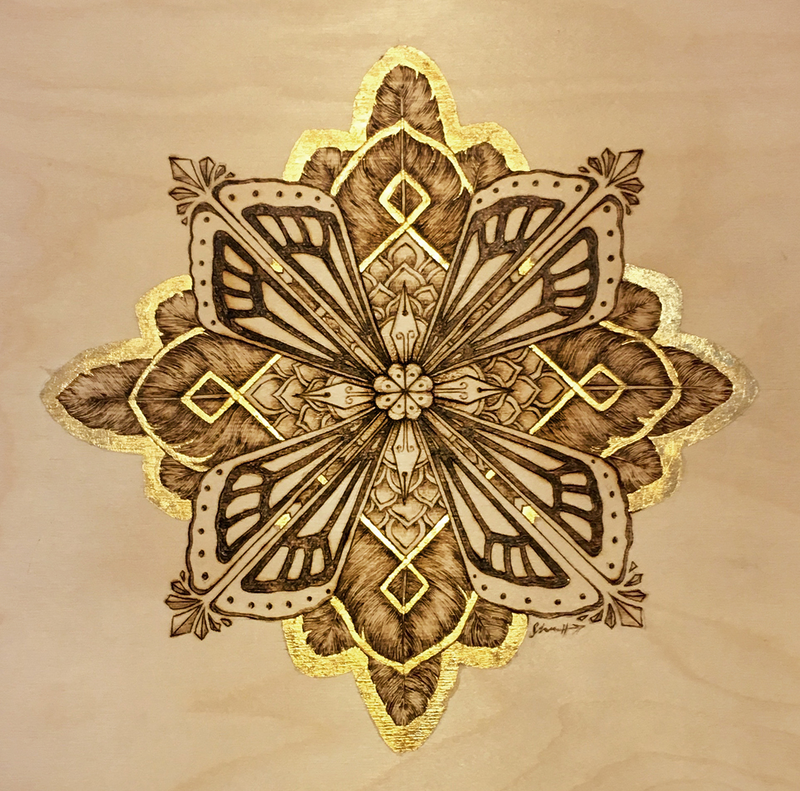 Along with her pyrography work, Shannon also paints murals, having recently returned from a trip to Brazil where she immersed herself in the street art scenes of São Paulo and Rio de Janeiro.